Chairman of the Consumer Code for Home Builders since July 2010, Noel Hunter OBE, brings unrivalled expertise in consumer protection, gained through a wide variety of organisations. He is a previous Vice Chair of the Council of The Property Ombudsman, non executive director of the Board of the Chartered Trading Standards Institute, and Chairman of a third sector hospice. 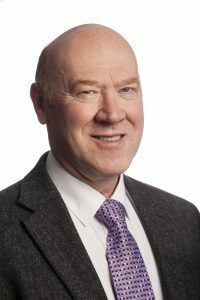 Member of the Code’s Management Board, Gary Devaney is also Group Chairman and Managing Director of Premier Guarantee. Member of the Code’s Management Board, Geoff Egginton is a Chartered Builder, a Fellow of the Chartered Institute of Building, a Fellow of the Royal Institution of Chartered Surveyors and holds an honours degree in building. He has worked for NHBC for 35 years and is currently the North East Regional Director. Mike Freshney is Chairman of the Code Advisory Forum. He has wide experience in the new Home Building Industry with particular emphasis on Building Regulation, Standards, and Customer Service. He is currently Vice Chairman of Westerman Homes, Chairman Emeritus of Robust Details Ltd, Vice President of the European Home Builders Federation, and Director of Habitat for Humanity UK. He is a past Director of CALA Group, Berkeley Group, Crest Nicholson and the Home Builders Federation, and past Chair of NHBC Building Control Services Ltd.
Nicola Barclay is Chief Executive for Homes for Scotland. Her career spans over 20 years in the home building industry and stretching over sales, land acquisition, funding and planning. Nicola currently sits on the Scottish Government’s Joint Housing Policy and Delivery Group, and chairs their Home and Place sub-group. She also sits on the Government’s Financial Innovation Advisory Group, as well as representing the industry on the CITB Scotland Committee, the NHBC Scottish Committee, and the Consumer Code Board. A Member of the Management Board, Frances Harrison is Chair of Brighton and Hove Citizens Advice Bureau. Frances has a wealth of consumer protection experience and serves as a member of a number of consumer facing organisations.